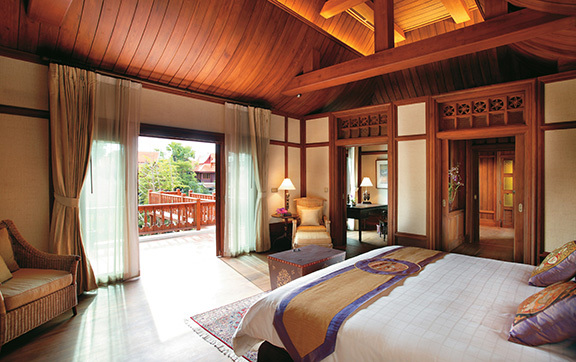 A simple relax and unwind holiday in an extensive traditional Thai Style villa. All of the 2-storey teakwood villas rise above the green paddy fields and lush garden, lovingly built and maintaining the traditional Lanna architecture, find the ideal villa for you. *Minimum stay of 2 nights required. Rates are subject to tax & service charges. The design of the suites, villas and residences is a visual journey through the history of the Lanna region, from the glory of northern Thailand to the influences of neighbouring Myanmar, China and Laos and the introduction of colonial architecture. Mandarin Oriental offer their guests the choice of private two-floor villas, colonial-style suites or the grandeur of their Residences. All of their spacious suites and villas have separate sitting areas and generously proportioned bathrooms and some villas feature private outdoor plunge pools. Throughout the resort, they offer an atmosphere of culture and calm, with the display of beautiful artifacts from their private collection amidst the welcome shroud of lush tropical greenery. All suites are located in the north-west area of the resort with tropical garden views in close proximity to the main hotel swimming pool, main lobby and breakfast restaurant. The suites are in a beautiful colonial style two-story buildings. First floor suites boast spacious balconies, while ground floor suites enjoy direct access onto the lush gardens. Decorated in a charming colonial style, each suite features a bedroom and separately adjoining living room, as well as a large private veranda. The five-meter high ceiling enhances the guest’s sense of open space and palatial living. Villas are authentic Northern Thai rice houses made out of teak wood. Each one is unique and has been converted to offer a luxurious blend of modern and traditional style accommodation. The villas feature two floors with ample living space on the ground floor and resting space upstairs. Common features include a whirlpool tub, separate shower stall, outdoor deck or terrace and a Thai Sala. Spread over 60 acres of natural landscapes, a self contained world of beauty, incorporating serene paddy fields and exotic plantations. 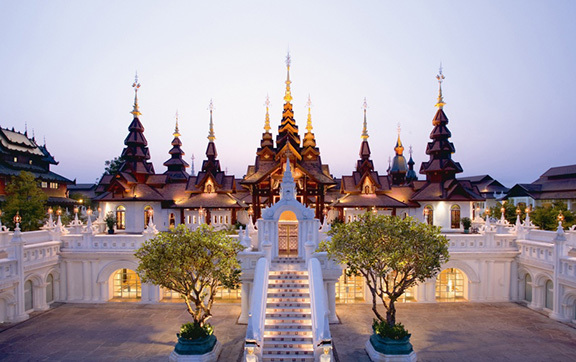 Dhara Dhevi is Chiang Mai’s only luxury hotel and resort where you can enjoy one of the world’s most beautiful spas and surround yourself with the rich heritage of the Lanna Kingdom. 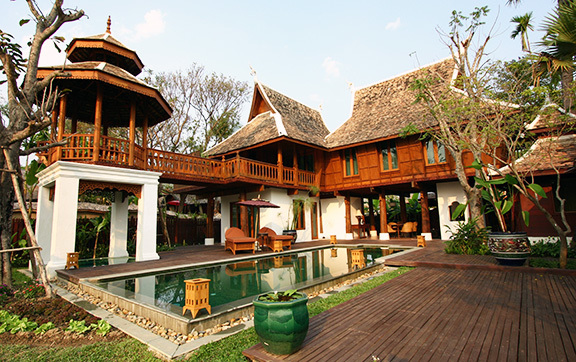 At Dhara Dhevi they are proud to offer an entirely cultural experience that mirrors the essence of Chiang Mai. Created as a tribute to Lanna architecture, embracing the natural surroundings and home to a rare collection of Northern Thai antiquities that guests can enjoy an enriching experience in luxury fit for kings.